A boot! A pocket knife! A snow shovel! A trash bag! Have you forgotten what any of these everyday objects looks like? 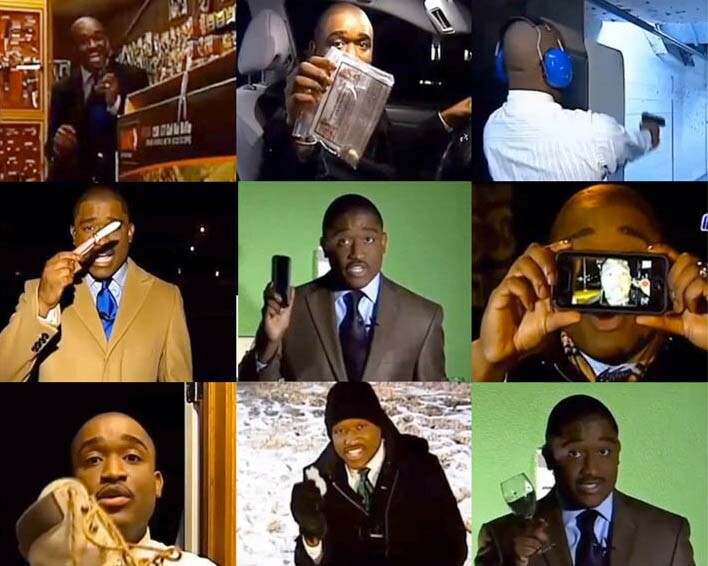 Fear not, viewers, NBC-12 reporter Chris Thomas has your back. If a story involves an item, he’ll make sure it makes its way into his story. He also isn’t above the occasional demonstration, be it showing viewers how slippery winter ice can be, or re-enacting the crime du jour.